New Release: 'Exodus 40 – The Movement Continues'! 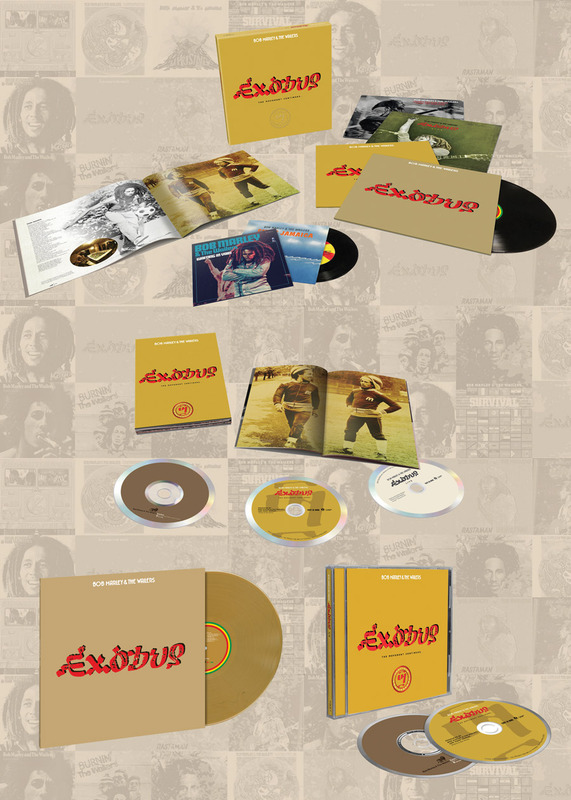 This June, The Marley Family, Island Records and UMe will mark the 40th anniversary of Exodus – named the “Best Album of the 20th Century” by Time magazine in 1999 – with a series of four separate reissues, three of which will feature Exodus 40 – The Movement Continues, son Ziggy Marley’s newly curated “restatement” of the original album. 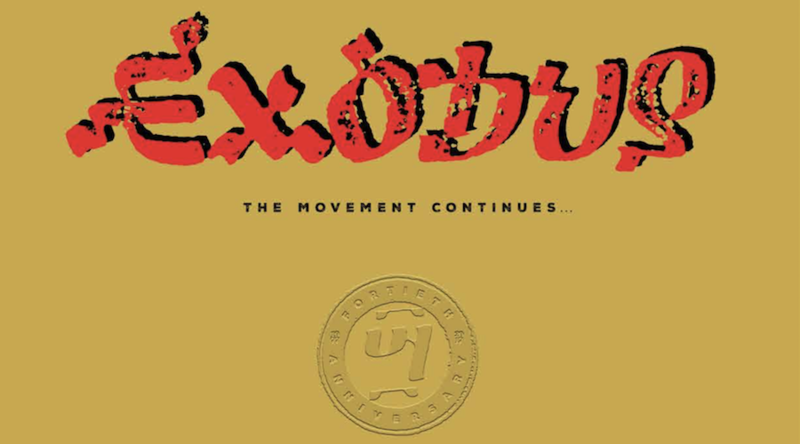 On June 2, UMe will release a version of Exodus 40 – The Movement Continues in a two-CD package that includes the original album and the Ziggy Marley “restatement”; a three-CD set (and digital equivalent) that includes the original Exodus, Exodus 40 – The Movement Continues and Exodus Live. 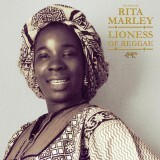 A limited edition gold vinyl version of the original 1977 album will also be available. 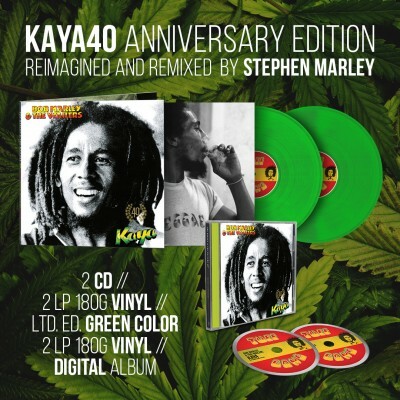 A Super Deluxe, four-LP, two-7” single vinyl version includes the original LP, Ziggy Marley’s restatement Exodus 40 – The Movement Continues, an Exodus Live set recorded at London’s Rainbow Theatre the week of the album’s release, Punky Reggae Party LP which includes a previously unreleased extended mix of “Keep On Moving”, and a pair of vinyl 7” singles, including “Waiting in Vain” b/w “Roots” and “Smile Jamaica (Part One)” b/w “Smile Jamaica (Part Two).” In celebration of the Exodus 40th Anniversary, fans who pre-order the Exodus 40 – The Movement Continues Super Deluxe edition via ShopMarley.com will receive a digital download of the entire package as well as an exclusive Stephen Marley ‘juggling’ of the song “Exodus” with a reimagined music bed and different lead vocalists including Beenie Man, Queen Ifrica, Tarrus Riley and more to be announced, on June 2nd in advance of the June 30th physical release date. 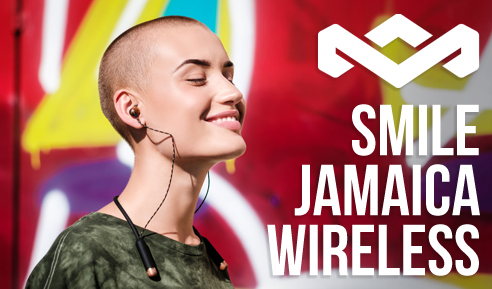 Following Jamaican music customs of taking a music track (known as the ‘riddim’ or ‘juggling’) and have several artists record original songs with original lyric and melody on that track, Stephen Marley has recorded a ‘Re Likk’ EP of the “Exodus” riddim that will be available exclusively in Jamaica and the Caribbean. Ziggy approached the “restatement” project with the utmost respect for his father’s music and the message. Exodus 40 – The Movement Continues is his vision of how his father might have accessed these songs today. Ziggy’s respectful, but experimental approach places them in a brand-new context, like listening to this classic album again, for the first time. Ziggy uncovered 10 lead vocal outtakes for “One Love”, proceeding to piece together a dazzling, new lead vocal from the outtakes, which includes vocal booth lyric ad libs near the end of the song. He also assembled a noteworthy roster of musicians to record a new music bed for “Turn Your Lights Down Low” – which leads the song into deeper elements of R&B. 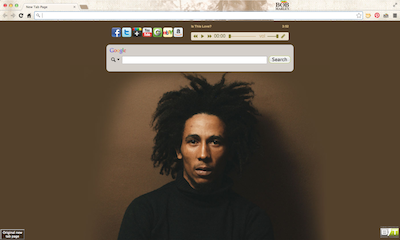 Bob’s original vocals sit atop this fresh music bed, creating a new soulful experience with this iconic song. Ziggy and his hand-chosen musicians provide subtle instrumental textures throughout this knowledgeable reimagining from the multiple Grammy® winning heir to his father’s legacy. *Also available as a bundle option with an exclusive ‘Exodus’ t-shirt! – This reissue includes a limited edition gold vinyl of Exodus.